The authors identified UK governmental agencies and charities providing health research funding to determine the 2012 levels of funding for cancer, coronary heart disease (CHD), dementia and stroke. Levels of research funding were compared to burden of disease measures, including prevalence, disability adjusted life years and economic burden. The combined research funding into cancer, CHD, dementia and stroke by governmental and charity organisations in 2012 was £856 million, of which £544 million (64%) was devoted to cancer, £166 million (19%) to CHD, £90 million (11%) to dementia and £56 million (7%) to stroke. For every £10 of health and social care costs attributable to each disease, cancer received £1.08 in research funding, CHD £0.65, stroke £0.19 and dementia £0.08. A considerable shift in the distribution of government research funding was observed between 2008 and 2012. In 2008, 66% of governmental research funding into the four conditions under study was devoted to cancer, 21% to CHD, 9% to dementia and 4% to stroke. In 2012, the proportions devoted to dementia and stroke had increased to 21% and 12%, respectively, with cancer accounting for 45% of total research spend. The sums allocated by charities have scarcely budged since 2008, say the authors. Charities are reliant on public funds so this stasis may be down to public perception of risk or a form of ageism, derived from the belief that stroke and dementia are inevitable only in the elderly, they suggest. Despite the shift in funding priorities, research into the treatment and prevention of dementia and stroke remains underfunded when compared with the economic and personal impact these conditions have, the authors conclude. 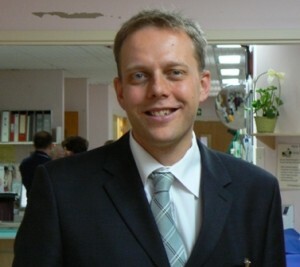 “However, the total overall research funding by charities and government into stroke remains small when compared with its burden, and disproportionately low when compared with cancer…There has clearly already been progress to increase levels of research funding in stroke and dementia, but further continued rises in funding are required if these areas are to be proportionally funded when compared with the burden of disease,” Dr Guyler added. “Only with research continuing to provide evidence and optimising best practice will prevention or treatment of conditions of stroke and dementia be improved, and their impact on individuals and society be lessened,” Dr Guyler concluded.